Jane Espenson has written for many fan favorite television shows like "Buffy the Vampire Slayer" and "Battlestar Galactica." She wrote for "Buffy," co-executive produced "Battlestar Galactica"
Motivated, creative woman who is not afraid to confront complicated issues ranging from imagining ways to kill off threatening vampires to interspecies sexual encounters (hey, I don't judge!) seeking like-minded mate who won't mind sharing me with my other passion, writing. Old enough to remember "Barney Miller" but young enough to be responsible for identifying a fault with a warp drive that was slowly tearing the time-space continuum, heralding the development a new generation warp drive. Food enthusiast and forward thinker. It's probably not the kind of ad many of her Midwestern childhood friends would identify with, but it's just the kind of credentials that attract suitors in the world of thrilling television series, where executives need to keep the creative flow of ideas coming in order to feed the demand. Jane Espenson is up to it and then some. As writer or co-executive producer of some of the biggest cult science-fiction shows of the past decade, Espenson, 46, gets a sardonic kick out of her job. "When I was a kid, I really identified with the character of Joe Rossi on 'Lou Grant.' He was this writer who knew he was good, and all the other characters thought he was so obnoxious, but I would watch him at home and think that I wanted to be that: a good writer and proud of it. If I've succeeded, then I've managed to become obnoxious! Heh!" Born and raised in Iowa, Espenson was the kind of girl who often asked for more homework. But during non-study moments, shows like "M*A*S*H" and "The Mary Tyler Moore Show" captured her imagination, turning her into a self-proclaimed addict of good television. As a teenager, Espenson found out that the producers of "M*A*S*H" accepted scripts on spec, without promise of payment or future work. Even though she wasn't an established writer, she set out to write her first episode. "It was a disaster," she recalled. "I never sent it. I didn't know the correct format. I didn't know the address of where to send it, and then I thought, they can't really hire me until I finish junior high anyway." Jane went on to college at the University of California, Berkeley, honing her skills in computer science and linguistics before being called back by her passion to write. She read that "Star Trek: The Next Generation" also accepted scripts on spec while she was still in graduate school, at the age of 25, so she tried again. "I wrote three of them," Espenson said, "and they called me about the second of the three and told me they wanted me to come in and pitch." She wasn't really sure what that meant, but she went to L.A. anyway to meet with the show's producers and give it her best shot. They ultimately didn't use her story ideas, but they did use one of the premises she put forth. "The premise was that every time we go to warp speed, we find out we've been tearing the time-space continuum, essentially polluting, and they ending up doing that and even developing a special kind of warp drive we see in later shows." 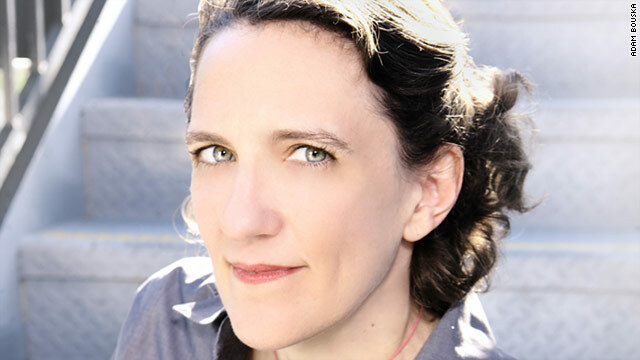 Espenson's own career didn't hit warp speed immediately, though, and she knew that she had to try multiple entries into the field if she were to succeed. In 1992, she received an ABC Disney writers fellowship. She packed up her things and moved to L.A. but knew she had a lot going against her. Namely, she was a woman and therefore a buzzkill in the writing room. "It's like being the one girl in the locker room," Espenson said. "You are simultaneously the beloved little sister and the odd person out." Espenson had a number of successes in the early '90s as a writer for both comedy and science-fiction. In 1997, she joined the staff of "Ellen" as a writer-producer. It solidified her roots in comedy and helped her learn not to take herself or her situation too seriously. Success measured in the "Buff"
Espenson learned to make her feminine side work in the male-dominated writing rooms she inhabited for much of the '90s. When she went to work for an animated show called "Dinosaurs," she learned that being different had its advantages. "There were all the boy writers and me, and it was that way for years," recalled Espenson. "It was a good thing, because I got to watch the whole process." Although Espenson had amazing experiences on that show, later writing rooms were far more harsh. "There is a rule where you can say anything in this room, so people try to be as shocking and appalling as they can. That becomes the prize, and a lot of times, that was at my expense," said Espenson, who insists that she has no bad feelings about it. "It's a good education. You learn to roll with it. You become one of the guys, or you become the girl. I tried not to do either of those things." But she found that being a girl didn't matter nearly as much as having ideas that could sell. She realized that the day she went to get a writing job on a new show called "Buffy the Vampire Slayer." First came an interview with the show-runner, responsible for the day-to-day running of the series. On "Buffy," it was sci-fi favorite Joss Whedon. "It was terrifying but lovely," Espenson said. Whedon ran his show a little differently from others. If you wanted to get hired, you had to pitch something great. So when Espenson threw out her ideas and heard that one of them had just been shot but not released, she knew she had the same mindset. It was confirmed when someone else who was in the room that day told her that after she'd left, Whedon walked over to a white board and wrote just two words: Hire her. Fans loved Buffy. The blonde high school student whose extracurricular activity happened to he hunting vampires was a cult hit, and working with Whedon served as a lesson for Espenson in how to stay true to character. "Joss' credo was that we needed a reason to tell the story. He would ask, 'What's the Buffy of it?' " Espenson recalled. "It's about the journey, and it's her journey, and we kept coming in and pitching stories which were cool and had a great sci-fi hook, but Joss made clear that Buffy needed the emotional hook." Espenson recalls, in one instance, waiting years until Buffy's right-hand man Xander was ready for an idea she wanted to write for him. "I remember finding out that Nicholas Brendon, who played Xander, had a twin brother, so I pitched a story on that premise," Espenson said. "But Joss said Xander wasn't ready and held off for three years until it was the right emotional time for that character. He brings that kind of discipline." When Espenson joined the cast of "Battlestar Galactica" for season four in 2006, she found herself in familiar territory as the only female writer in the room. She worked for Ronald D. Moore, whom she ranks among the best show-runners she's had. "Ron was wonderful," Espenson said. "His ability to grasp things and know things so quickly and so decisively what will work is amazing. We gather around a cell phone and call him to pitch a story, and he would be in an airport somewhere and would just sit there and listen, and I'm thinking, 'oh, there are so many things we're leaving out.' And he'd just start saying, 'OK, I like it. Here's what you need to do,' and he would start rearranging scenes to make it work." Espenson went on to become co-executive producer of the show as well as executive producer of the "Battlestar" movie "The Plan." The experience was enough to whet her appetite for creative control, so when SyFy network executives offered her the job of show-runner for a spinoff called "Caprica," she went for it. In her own words, it was her biggest mistake. The job lasted a year, and the show was cancelled last fall. Espenson took it in stride and says she realizes that the demands of being a show-runner stretched her abilities. As a self-proclaimed control freak, she found that she was controlling all the wrong things. Although she's extremely proud of the show and is happy to launch into praise for those who worked on it with her, it's hard not to notice the rare moment of raw personal reflection that gives insight into the Espenson mind. "That's exactly why I wasn't a good show-runner," she said. "I'm too honest about my fears, so I just did it again. That's the biggest mistake I've made in this interview." But don't buy it just yet. Espenson is a woman who knows what she does best. "I think I'm a really, really good writer, which sounds awful, but I feel strongest when I have my fingers on the keys," Espenson said. "Projecting confidence and having the whole big vision thing in your head and knowing how to balance other things, that is all stuff I never bothered to learn." She hasn't written off the idea of running another show some day, but she freely admits that next time, she'd do it differently. "I think there's a way to run a show when you learn how to delegate the bits you don't do well," she says. "I'd do it again if it were the right project, but this time I'd have more partners around me." Right now, it's not bad being Jane. She's writing for "Torchwood" on Starz while working on a SyFy pilot titled "Good Cop, Dead Cop." And she keeps interesting company. She had dinner with her old friend Joss Whedon and a bunch of other colleagues not long ago. They sat in a California restaurant and talked about the latest round of "Buffy" comic books while tossing around ideas for things to come.